The world of insurance underwriting has changed to keep up with today’s business world. It used to be buyers submitted an insurance application along with 3-5 years of loss history, they received a quote and then a policy was issued if the quote was acceptable. That is simply not the case anymore. With changes in technology and the internet, insurance underwriting has adapted as well. Your online presence and reputation is now a crucial factor for underwriter consideration. Here are some items for businesses to consider when it comes Workers Compensation underwriting. NCCI Experience Rating: It used to be a requirement for an insurance agent or insurer to obtain permission to access a company’s NCCI Experience Modification. Now it is available for a nominal fee and virtually public information. OSHA Records: Using the www.osha.gov website you can search individual establishments and view details on OSHA violations, inspections and corresponding fines. 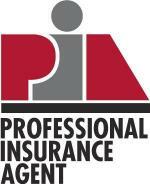 This has become a valuable tool for insurance underwriters and one that they leverage regularly. SAFER (DOT): The DOT has a site called SAFER which publishes vehicle information http://safer.fmcsa.dot.gov Insurance underwrites like to use this for underwriting Business Auto policies, but will also use this to underwrite Workers Compensation. Workers injured in auto accidents are eligible for Workers Compensation benefits, so SAFER can be used to underwrite Workers Compensation exposures. Dun & Bradstreet: D&B reports are used for several reasons. First, they provide a description of a company’s operations. Inconsistencies with insurance applications and D&B reports can be problematic, so it is important that D&B has accurate information about your company. Secondly, D&B provides financial information (PayDex score) which is much like a credit score for an individual, only for businesses. A low PayDex score can give the impression that a company who is not financially strong is likely cutting corners on safety efforts and protective equipment. Your Own Website: Be careful about how you advertise and what is posted on your website. We constantly have arguments with underwriters due to companies advertising what they are “capable” of doing versus what they are “actually” doing. Every insurance underwriter will carefully evaluate and scrutinize your website, so it is important to accurately portray your company’s operations. When it comes to insurance underwriting, it is important to evaluate and monitor how you “look” online, especially with above mentioned websites. We recommend checking them periodically to make sure they are portraying accurate information because you can be certain that the underwriters are looking!